Meeting varied industrial needs of clients through our technologically advanced array of Level Indicators, we have fixed out a commendable reach in the market. These indicators are specially manufactured in adherence with international quality norms with the use of top-notch quality components and innovative techniques. 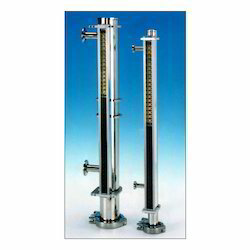 Widely used for indication of level, the provided indicators are used in pressure vessels. Also, these indicators can be easily purchased at discounted prices from us.